Opening Day 2019 is Saturday! 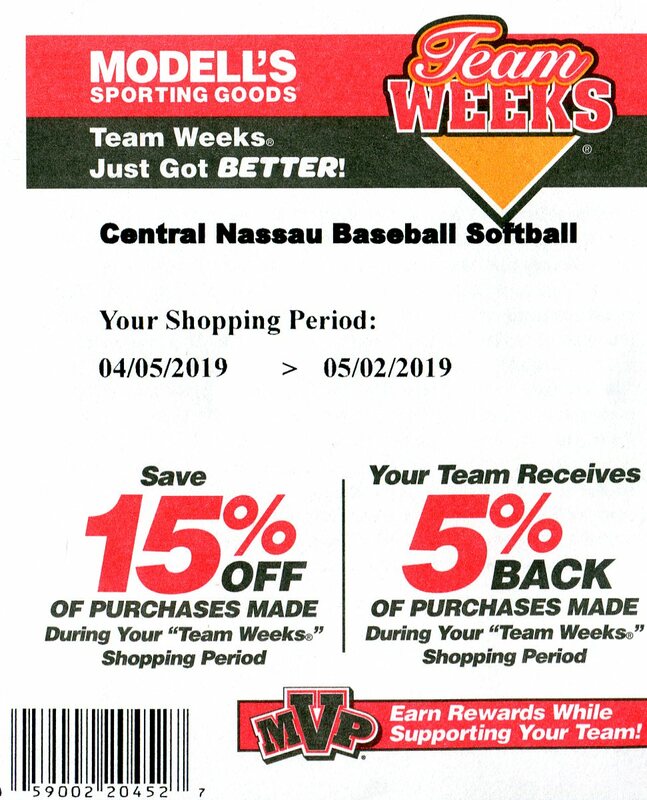 Central Nassau 2019 Modell's Coupon! Last Baseball/Softball Clinic THIS WEEKEND! CN Baseball - Softball Clinics START SUNDAY! 2019 Baseball/Softball/T-Ball signups NOW going on! Girls 10U wins Summer and Fall SSA Championship! CN Basketball will be starting soon! Tom Abruscato’s 21st Annual Central Meadow Baseball and Softball Academy.... Registration is open!!! 2 weeks, July 8-11 & July 15-18 in East Meadow. The Baseball Academy is run by Clarke Baseball Head Coach, Tom Abruscato. Coach Abruscato has won a combined 29 State, LI, County, and Conference championships during his 20 year tenure as head coach. He is a 2x NYS, 5x LI and 18x NC Coach of the Year. Coach Abruscato has placed 119 Clarke players in college, which translates to an astounding 6 players per year going on to play collegiate baseball, as well as 3 professional players. The Softball Academy is hosted by 2x Nassau County COY and current Clarke Head Coach Rachel Barry. Also running the softball academy is current New York Tech University Assistant Coach, Jamie Laird. Our softball pitching coach is NYS Player of the year and current Alabama Crimson Tide pitcher (16-1) Sarah Cornell. The Mets and Yankees have asked Coach Abruscato to run his camp in their name and charge 3x the amount... he has consistently refused to keep the camp at the current cost. Take advantage of one of the highest rated camps in the northeast at 1/2 the cost of most other camps. Learn from the best!!! Flyers are attached, all registration, camp and coaching information can be found @ the camp website, www.centralmeadow.com. Flyers are also available on CNAA website. ***Schedule updates will be posted on the links below, latest version is listed below. The 2019 Baseball-Softball-Tball schedule is now available using the links below or from the Central Nassau website. Join us for the Central Nassau annual Picnic! Central Nassau and Modell's will again offer 15% off to all our community and Modell's gives back 5% to our league. Use the coupon below or link below to access.Team weeks are dates starting April 5th through May 2nd. Get a great discount on gear and support the league! with your own name and number. Get your Central Nassau Rebels gear today! All Games on CN fields postponed due to field conditions on Monday 4/15. Game at Hicksville is still on pending update. The Parade down Carman Ave to Salisbury is still ON for 11am. Line up on Carman Ave near Carvel before 11am. Due to the rain ALL games are postponed for today. 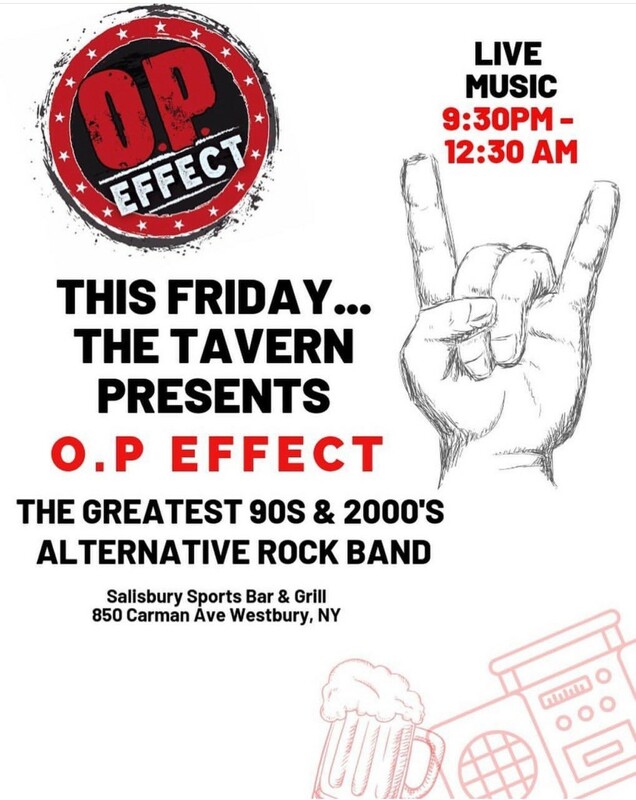 Come kick off the start of the Central Nassau Little League Season Saturday April 13th at the Salisbury Tavern! Families who come in wearing their Central Nassau gear will receive a 10% Discount from 12pm to 5:30pm. Go Rebels! Lets play ball!! This Saturday April 13th is Central Nassau's Opening Day! The day starts off with a parade of all teams at 11am. It will start at Venere & head down Carman Ave to the Salisbury Fields. Coaches & players please meet next to Carvel at 10:30am. Players, please wear uniforms & sneakers for comfort. Coaches, please see me to get your team’s line up number for the parade order, and remember to bring your banner. Family & Friends, hope you all can make it to cheer on all the kids! They are excited!! Once at the Salisbury Fields players will sit with their team around the infield. As parents gather around outfield. If the grass is wet or child gets hungry please plan accordingly. Ex: towel, snacks, water. We will begin with anthem, then pledge, politicians, announcements, raffles & start the season off with first pitch. Games will start afterwards according to schedule. It will be a fun day of ball!! The 2019 T-Ball schedule is now available using the links below or from the Central Nassau website. Baseball and Softball is posted, check often for any schedule updates and changes. The 2019 Baseball-Softball schedule is now available using the links below or from the Central Nassau website. T-Ball will be out shortly. 7th & 8th Grade Boys Games will begin @ 7:30 followed by pizza and drinks in the Bowling Green East APR at about 8:15. Thanks to all for their support of Central Nassau Basketball in 2018/2019. There we be a short meeting for Umpires Tuesday April 9th 7:45 @ Bowling Green East. For boys and girls 8th grade and older. Come down if interested in working games this season. Monday April 1: 7th & 8th Grade Boys Warm Ups begin @ 7:30 and Games begin @ 8:00 at Bowling Green East Gym. We thank all volunteers and participants in the Central Nassau Basketball for the 2018 -2019 Season and look forward to seeing everyone in October. 7th & 8th Grade Boys: Practice begin @ 7:30 with games @ 8:00 at Bowling Green East Gym. participants and plaques for all coaches. this evening and return them to Ray Connolly. in the gym on Thursday. this season, as we could not have a league without your help. Reminder Baseball/Softball/T-Ball Late registration will continue through Sunday 3/24 and will close Monday 3/25 with teams being selected that week. 7th & 8th Grade Boys: Practice begins @ 7:30 and Games begin @ 8:00 at Bowling Green East Gym. This group will continue on Monday nights thru the School Break in mid-April. 3rd and 4th Grade Girls: All Girls report to the Bowling Green East Gym at 6:30 for "Fun Night" with contests and prizes, followed by Trophies and Pizza at the Bowling Green East APR at 7:15. 5th and 6th Grade Girls: Championship Game Kesbian vs Genna @ 7:00 at Bowling Green West Gym, followed by Trophies and Pizza at the Bowling Green East APR. We ask all girls who participated in this division to please come down to the Championship Game and receive Trophies and have pizza with the group. 1st & 2nd Grade Boys: All boys report to the Meadowbrook Gym @ 6:30 for "Fun Night" with contests and prizes, followed by Trophies and Pizza at the Meadowbrook APR at 7:15. 3rd Grade Boys: All boys report to the Bowling Green East Gym @ 6:30 for "Fun Night" with contests and prizes followed by Trophies and Pizza at the Bowling Green East APR at 7:15. 4th Grade Boys: All boys report to the Bowling Green West Gym @ 7:00 for "Fun Night" with contests and prizes followed by Trophies and Pizza at the Bowling Green East APR at 7:45. 1st & 2nd Grade Girls: All girls report to the Meadowbrook Gym at 6:30 for "Fun Night " with contests and prizes followed by Trophies and Pizza at the Meadowbrook APR at 7::15. Championship Game will be Thursday March 28 at 6:30 at Bowling Green East Gym followed by Trophies and Pizza for the entire division. Championship Game, which will be followed by Trophies and Pizza for the entire division at the Bowling Green East APR. This is the final week for Central Nassau Basketball for most players and we hope everyone enjoyed the year. Central Nassau Basketball could not operate without the many volunteers and we want to thank all those who volunteered their time to help make the program run. Reminder Baseball/Softball/T-Ball Late registration will continue, Uniforms are NOT guaranteed in time for opening day on any new registrations from 3-11 on. Games @ 6:30 at Bowling Green East for all Girls. The final week for this division will be Tuesday March 19, with "Fun Night" beginning at 6:30 at Bowling Green East Gym with contests and prizes followed by trophies and pizza at the Bowling Green East APR. The Championship Game for this division will be at 7:00 on Tuesday March 19 at Bowling Green West Gym followed by trophies and pizza for the entire division. 1st & 2nd Grade Boys: Games @ 6:30 and 7:30 a Meadowbrook Gym as per the schedule on the Central Nassau website. The final week for this division will be Wednesday March 20 with all Boys coming to the Meadowbrook Gym for "Fun Night" at 6:30 with contests and prizes followed by trophies and pizza at the Meadowbrook APR. The final week for this division will be Wednesday March 20 with all Boys coming to the Bowling Green East Gym for "Fun Night" at 6:30 with contests and prizes followed by trophies and pizza at Bowling Green East APR. The final week for this division will be Thursday March 21 with "Fun Night" at the Meadowbrook Gym beginning a 6:30 with contests and prizes followed by trophies and pizza at the Meadowbrook APR. 5TH & 6th Grade Boys: There will be no games in this division this week as there is a concert for some of the players on this night. The semi finals for 5th & 6th Grade Boys will take place on Thursday March 21 at Bowling Green East Gym. Baseball, Softball and T-Ball late registrations still being accepted online through next Sunday. Monday March 4: 7th & 8th Grade Boys @ Bowling Green East Gym worth practice beginning at 7:30 and games at 8:00. If East Meadow Schools are closed due to weather on Monday March 4, 7th & 8th Grade Basketball will be cancelled. The teams who finished 1st and 2nd (Guidice and Huda) have first round byes. appears we may have a conflict with a concert on Thursday March 14. We want to thank everyone for coming down for pictures and great job done by Jenna, Tricia and Melissa on organizing the pictures, as it ran very smoothly. Late registration for Spring Baseball, Softball and T-ball are being accepted online at www.centralnassau.com through March 24th. Any sign ups after Sunday March 10th may have a delay or no uniform ready for opening day so sign up today! Don't delay sign up today online at www.centralnassau.com under online registration. The Group Focus website was down recently and it was not accessible for orders or payments. It is back up and ready for use. You have about a week to order & pay online by putting in our code. Thank you! Please note team and individual basketball pictures will take place on Tuesday February 26 and Wednesday February 27 at the Bowling Green East APR. Forms will be available on the night of the pictures. We will email a schedule to all Central Nassau participants as a reminder. We do ask that all players come down to at least be part of the team picture, as that picture is used in the plaques given at year end to the volunteer coaches. Picture forms will be available on site prior to being taken or in advance in your team plays before the Winter recess. Late fees on all registration starts March 1st - Sign up today! Central Nassau is offering 3 clinics for Girls’ & Boys’ Grades 1st-6th. Players must be registered for the 2019 CNAA season to attend. Clinics will be led by Clarke head coach & 2x NYS Baseball Coach of the Year Tom Abruscato. Along with the varsity staff and varsity players. Coach Abruscato has an impressive list of achievements including 4x Newsday LI Coach of the Year. Almost 20 years as head coach, he has helped over 100 players go on to play college baseball. The Clarke baseball program boasts 34 Conference Championships, 6 County Championships, 3 Long Island Championships and 2 State Championships. Every coach on the Clarke baseball staff is a former Clarke player and Central Nassau player. Also, all were All State high school players, collegiate all stars or a professional player. ALL BASKETBALL for Tuesday 2-12 postponed per the school district with the inclement weather calling off all activities for the evening. *** The Clarke Girls Varsity Basketball team will host Seaford on Monday, February 11th at 4:30pm at Clarke High School in a Section 8 Outbracket Playoff Game. Clarke welcomes the Central Nassau community to come out to the game. Boy's 7th & 8th Grade: Practice begins @ 7:30 and we have games at 8:00 at both Bowling Green East and Bowling Green West Gyms. This based on all the boys coming down, as we need a minimum of 20 Boys to play on both courts. 1. There is no Central Nassau Basketball the week of February 18 with schools being closed. 2. Central Nassau team and individual pictures will take place on Tuesday February 26 and Wednesday February 27 at the Bowling Green East APR Room. A schedule for pictures will be posted on the Central Nassau website in the next couple of days and pictures forms will be handed out at games this week. The following is the Central Nassau Basketball schedule for the week of February 4. Please note there are some changes from the original schedule as the Bowling Green West Gym is not available to us this week due to the Book Fair. Please note for 5th & 6th Grade Boys, there is no gym availability for practice this week. Also, please note there is no parking in the inside of the circle or on the grass at Bowling Green East School. At some point, the Nassau County Police Department will issue tickets. also the form is available for download and mail or hand in on the website or the links below. Registration ends February 28th and after a late fee will be applied to any accepted registrations. who can make it come down and support the Clarke team and see the Central Nassau girls play at halftime. 1. Please there is no food or drinks permitted in the gyms. We received a call from the School District this week asking us to remind all of this policy. 1. There is no parking in the inside of the circle or on the grass at Bowling Green School. With cold weather, ice, and snow, we are very concerned about the safety of children and vehicles parked on the inside of the circle and on the grass can block the view of children leaving the gym and crossing the roadway from cars driving in the circle. This is very important and cars parked on the inside of the circle and on the grass at Bowling Green School are subject to tickets from the Nassau County Police Department. The first SOFTBALL & BASEBALL clinic went great, we had a lot of good feedback. This Sunday February 10th is our 2nd clinic, 10-11:30am (arrive by 9:45am to sign in). Clinic cost $15. Both varsity Clarke softball & baseball players will be helping to instruct the kids under the direction of Coach Abruscato. MUST be registered for the 2019 season to attend - Sign up today! Hold the Dates! Further information to follow as well as Girls Clinics announcements. There is no 7th and 8th Grade Boys Basketball this week due to schools being closed on Monday January 21. This program will resume of Monday January 28. Tuesday January 22: 3rd & 4th Grade Girls: Practice and Games for all teams/girls @ 6:30 at the Bowling Green East Gym. Monday January 14: 7th & 8th Grade Boys Practice begins @ 7:30 and games begin @ 8:00 at Bowling Green East Gym. 5th & 6th Grade Girls Games at Bowling Green West Gym 6:30 Genna vs Barone 7:30 Hirsch vs Kesbian Please note this is a schedule change. Our online store is open with hundreds of items customizable with your name, number, size even colors! Monday January 7: 7 & 8th Grade Boys Practice to begin @ 7:30 and Games to begin @ 8:00 at Bowling Green East Gym. We are trying to split this group into teams tonight. 5th & 6th Grade Girls: Games @ 6:30 & 7:30 at Bowling Green East Gym and @ 6:30 at Bowling Green West Gym as per the schedule on the Central Nassau website. 5th & 6th Grade Boys: Games @ 6:30 and 7:30 at Bowling Green East Gym and @ 6:30 at Bowling Green West Gym as per the schedule on the Central Nassau website. The program for 7th & 8th Grade Boys will resume on Monday January 7th and the program for 3rd & 4th Grade Girls and 5th & 6th Grade Girls will resume on Tuesday January 8. We hope everyone had a great holiday. 7th & 8th Grade Boys: Practice begins @ 7:30 and Games at 8:00 The program is scheduled in Bowling Green East Gym, however there may be chairs for a concert being set up in the Bowling Green East gym, and in that case, we will move the program to Bowling Green West Gym. 3rd & 4th Grade Girls: Games @ 6:30 at Bowling Green East Gym. 5th & 6th Grade Girls: Games @ 6:30 and 7:30 at Bowling Green West Gym. 1st & 2nd Grade Boys: Games @ 6:30 and 7:30 at Meadowbrook Gym. Please see team schedules on the Central Nassau website. 3rd Grade Boys: Games @ 6:30 at Bowling Green East Gym. Please see team schedules on the Central Nassau website. 4th Grade Boys: Games @ 6:30 and 7:30 at Bowling Green West Gym. Please see team schedules on the Central Nassau website. 1st & 2nd Grade Girls: Clinics and Games @ 6:30 at Meadowbrook Gym. 5th & 6th Grade Boys: Games @ 6:30 and 7:30 at Bowling Green East Gym and at 6:30 at Bowling Green West Gym. Please see team schedules on the Central Nassau website. There will be no Central Nassau Basketball the week of December 24 or Monday December 31 or Tuesday January 1. The program will resume on Wednesday January 2. Central Nassau would like to wish all a Happy and Healthy Holiday Season. Monday December 10: 7th & 8th Grade Boys Practice @ 7:30, Games @ 8:00 at Bowling Green East Gym. We realize attendance will be low because of a Middle School concert. We have just received notification that there is a Holiday Boutique at Meadowbrook School which is being set up on Wednesday December 5 and occurring December 6 and December 7. As a result, Boy's 1st and 2nd Grade Basketball on Wednesday December 5 and Girl's 1st and 2nd Grade Basketball on Thursday December must be cancelled. We understand there will limited attendance for these groups because of a concert at Clarke this evening, but all girls available should come down. We will be selecting teams for both these groups, after these clinics, so please any girls interested in joining Basketball come down on Tuesday and sign up. We will be selecting teams for all the groups after these clinics, so please, any boys interested in joining Basketball come down on Wednesday and sign up. We will be selecting teams for the 5th and 6th Grade Boys after these clinics, so any boys interested in joining Basketball come down on Tuesday and sign up. The Central Nassau website remains open for people interested in signing up, but that will be shut down at the end of the week. We have openings in each division. Congratulations to our 10U Girls Softball team winning Summer and Fall SSA championships! Playing into November with a wins vs Island Park and Plainview on Saturday Nov 10th and then Winning the Championship Sunday playing in Glen Cove vs the Hellcats. Great job girls! No clinics or games due to schools being closed. The 7th & 8th Grade Boys program will begin on Monday November 19 at Bowling Green East Gym at 7:30. There are still openings in all divisions and registrations will be accepted at the clinics and on line (preferable) via the Central Nassau website. For the week of November 19, clinics/practices will only take place on Monday November 19 and Tuesday November 20. Unfortunately because of schools holidays and Election Day, Thursday is the only day the gyms are available to Central Nassau. The program for 3rd and 4th Grade Boys will move to Wednesdays starting the week of November 12, but we wanted to get the program started this week, so we moved the programs to Thursday for this week only. We are sorry for the delays in starting 1st and 2nd Grade Boys, but that program will begin on Wednesday November 14 at Meadowbrook. The 7th and 8th Grade Boys program will begin Monday November 19 at Bowling Green East. (Monday November 12 is a school holiday). We are still accepting registrations for all divisions. The best way to register is going to the Central Nassau website at centralnassauaa.com and follow the Online Registration area. Registrations will be accepted for players at all these clinics. Please note that we were mistaken and did not realize that the schools are closed on Wednesday November 7, so there will be no clinics that night. The 1st and 2nd Grade Boys, 3rd Grade Boys, and 4th Grade Boys programs will begin on Wednesday November 14. Please continue to register over the Central Nassau website. We are still accepting registrations for all age groups via the on line registration and we will accept registrations at the first clinics for all groups. We are also looking for coaches in every division, so please volunteer at the clinics. For both 5th and 6th Grade Boys and Girls, we will be using Junior High School rules to assist in preparing children to play at that level in the next year or two. We also have certified High School referees in these divisions. Please note that we are starting the groups playing on Wednesdays a week late, as to not interfere with Halloween. Also please note, that the groups playing on Tuesdays (3rd and 4th and 5th and 6th Grade Girls) will not have clinics on Tuesday November 6 due to Election Day and the gyms being used for voting. The nights of the clinics will be the regularly scheduled night for these divisions.